Hair is an important component to a woman’s beauty, and therefore I wanted to show you guys a few hairstyles that will look great for spring. Not only does your hairstyle structure your outfit but it also boost self-esteem. Here are some 2013 hair trends! Braided Hairstyles: This is one of my favorite hairstyle to create for the warm season. Braids have become very popular in the last years and I believe it is here to stay. There are numerous styles of braids that will help you create a desire image. For a casual hairstyle wear a French braid. This is a perfect look for a picnic at the park. For an effortless chic hairstyle wear messy side braid; this look will be great for a beach party. For a more sophisticated hairstyle wear a braided ponytail. Do not think that every braid has to be perfect; the idea of the messy braid will help frame your face and gives you that lovely look. Soft-wave hairstyles: This is a quick and easy way to create an effortlessly look. The style works for both short and long hair. To create the soft-waves while hair is still wet work a generous amount of moose through the hair and scrunch it upside down. Another easy way to create the look is using a thick curling iron and run fingers through the hair for loose curls. Topknot bun hairstyles: You can wear this hairstyle on many types of occasion like a wedding, a casual night out with friends, or a birthday event. To get the hairstyle, pull your hair up into a high or a low pony, twist the strands around and secure the knot with bobby pins. And for a softer look, you can make it messy with flyaway to frame your face. Scarf-tied hairstyles: This is another hot trend for spring 2013. It gives you that retro look but yet fun and easy to create. This style is perfect for busy moms who are on the go or a day out shopping with the girls. There are different hairstyles you can create. One of my favorite is to tie a scarf up into a turban, or you can fold a scarf up and use it as a headband, and you can also work a scarf into a side braid. To keep the look modern, use a fun floral print scarf or trendy color such as emerald green. 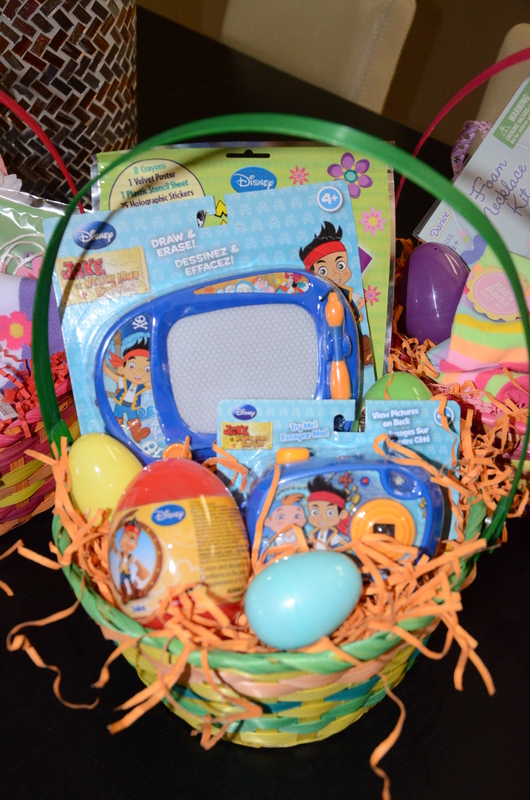 Easter is this weekend and I have some great Easter basket ideas I would like to share with you. 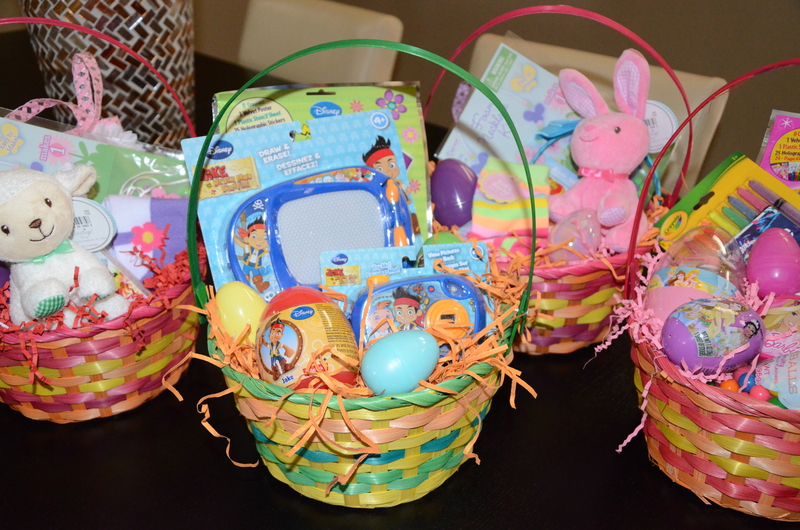 I know it is easy to go buy a pre-made Easter basket but what is fun about that? 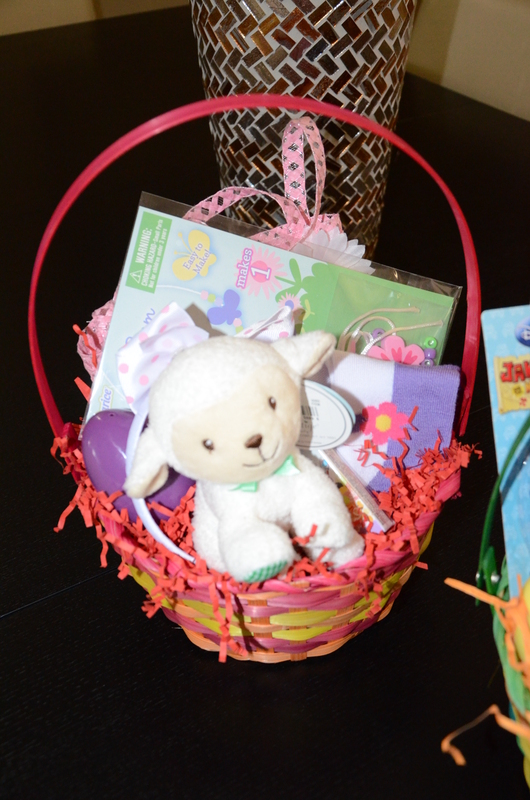 This is a chance for you to come up with fun, creative ways to put together a basket. Also the perfect part about this is showing the kids that you were extra thoughtful this year by giving them gifts specific to their personalities. Stickers, candies, small toys, stuffed animals, crackers, coloring books, crayons, sippy cups, puzzles, fun pencils, sunglasses, side-walk chalk, hair bows, books, jewelry, sports ball, and jump ropes. 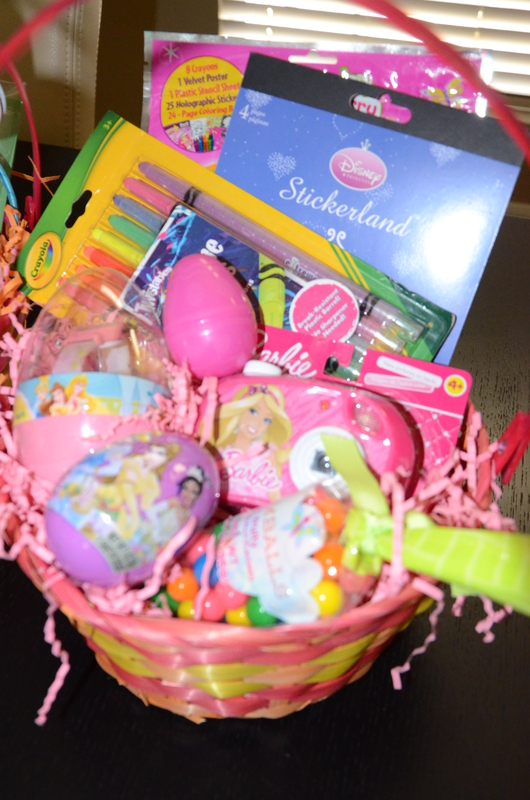 You can also do themed Easter baskets, so if you wanted to do a garden kit basket, it could be filled with gardening gloves, shovels and flower seeds. 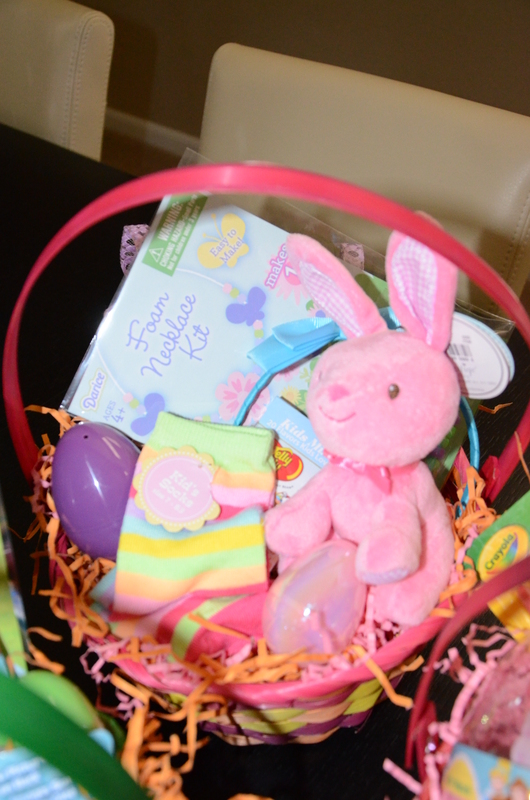 And if you like to do a bath kit basket, it could be filled with bubble baths, a bath towel, bath crayons, and little bath toys. You get the point. 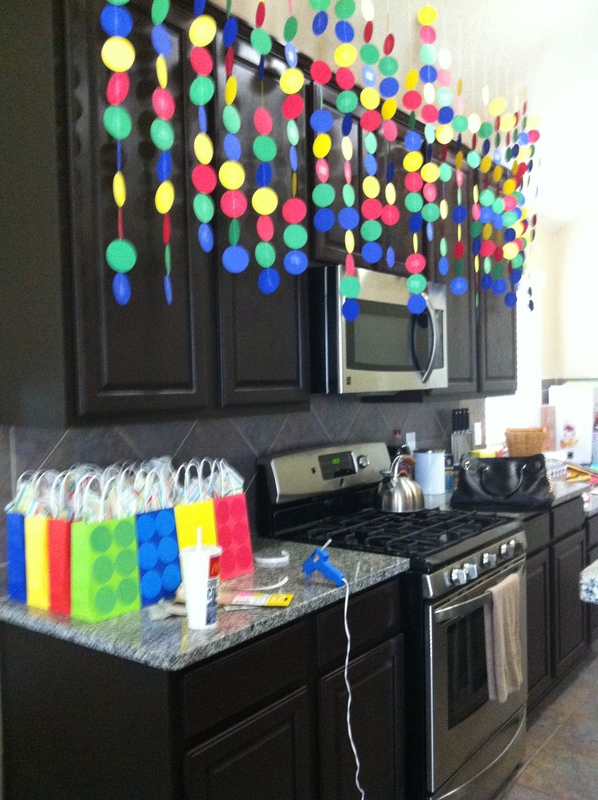 The ideas are endless… Here is what I created for my kids and my cousins kids for this weekend. We are having a crawfish party at the house and yummy desserts, so I am definitely excited. I will definitely post pictures for you to see. I hope you have a wonderful holiday! The winner of the one month giveaway is…..
Congrats to plan212!!! Please email me your mailing address at sweetmelange@live.com to collect your prize. 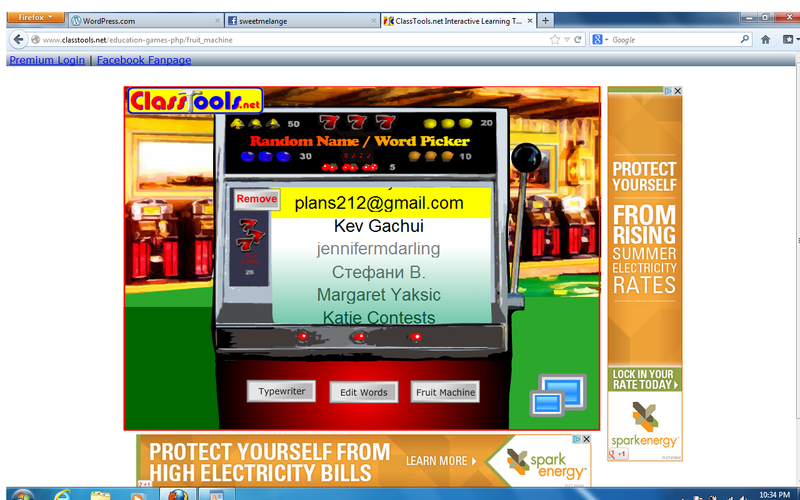 If I do not get a response from the winner within the next couple of days, I will try again for another winner. However, thanks to EVERYONE who entered! Please don’t feel discouraged if your name was not selected. I will have more giveaways in the future. +Skirts are another perfect essential for spring. Any light colored or floral skirt will be great. Wear the skirt with a loose tank tucked in gives it a gorgeous look. +Pastel or any colored sheer blouse. Pair it with jeans or tuck it in a skirt and you got yourself another lovely outfit. +I love colored skinny jeans!!! It is actually perfect to wear for any occasion. Pair the colored jeans with a cute blouse and some simple flats will give you a chic look. +Dresses are great for spring time. I have been obsessed with a lace dress. I feel like it is just the perfect touch for spring and also perfect for brunch with the family! +Loose tanks always serve as one of the best basics to wear with shorts, jeans, or floral skirts. +High Waist Shorts are perfect for spring. Comfortable but yet cute! +Light sweaters are also another great essential for spring time. Although majority of the time the weather is beautiful but there are times when it can get a little chilly. Pairing a light sweater with shorts is just perfect for spring. +The perfect pair of wedges in either brown or black will look good with a cute dress or any spring outfits I have listed here. You can never go wrong with wedges. +Simple flats will be comfortable and look well with most outfits such as, dresses or with pastel jeans. 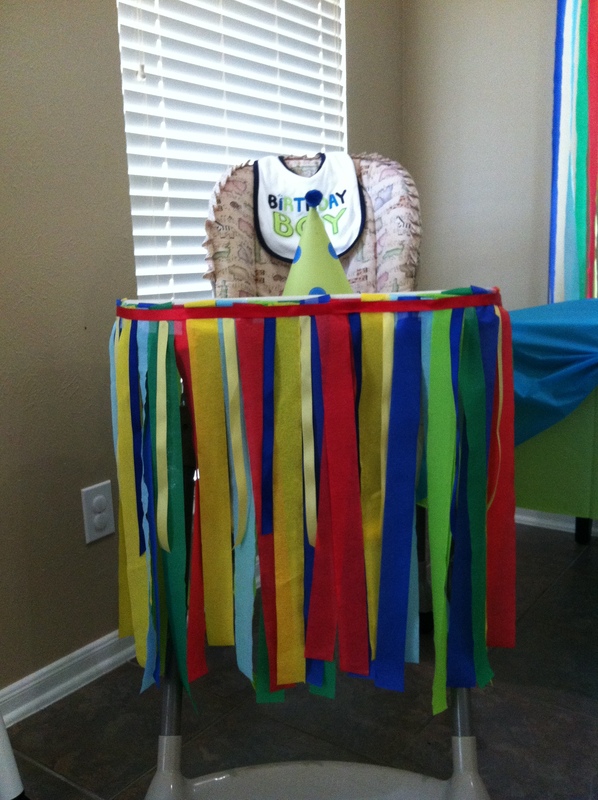 Are you hosting a baby shower or attending one any time soon? I have a project that you can create that will not take too much time to put together and yet, will have the mother-to-be greatly appreciated. It seems to me that it is another baby boomer year. So I know with all these babies, there bounds to be baby showers. I know we can go the old fashion way and purchase gifts straight from the gift registry but this is actually a time where I can get creative with the gifts I give out. When there is a chance for me to get creative, I will absolutely do so. There are plenty of websites out there that you can pay for them to create one but why not do it yourself for half the price. I made a diaper cake for my cousin about a year ago and I will include step by step instructions for you to learn how to make your very own diaper cake. Whether it is for a gift or the center piece at a baby shower, I got it here for you. 1. 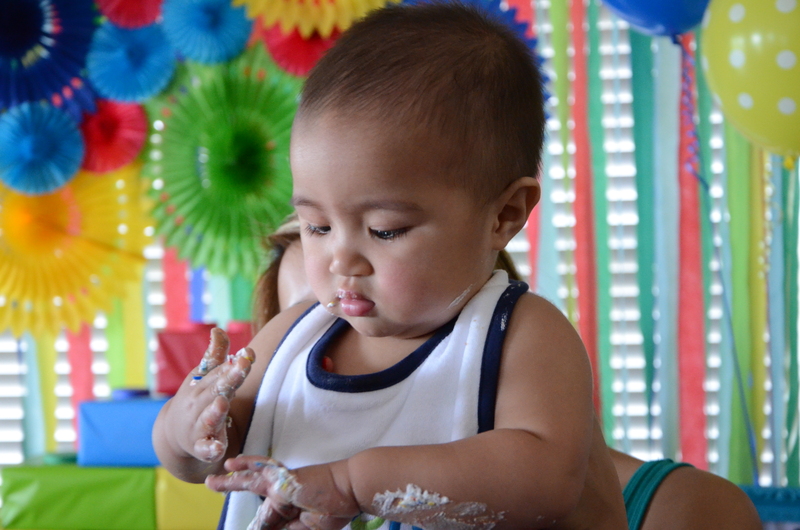 White disposable diapers, in size of your preference, depending on the size of your cake. 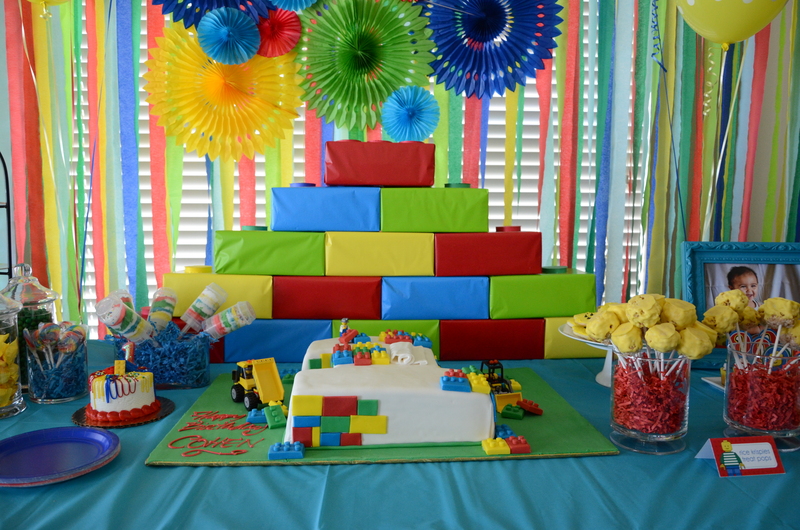 Optional: Cake accessories/toppers – it can range from a teddy bear or to several smaller objects placed around the cake such as socks, onesies, diaper cream, rattle, bibs, blankets, burp cloths… the possibilities are endless. Step 1: Making the Layers – I started with the bottom layer first. I placed the diaper overlapping each other. I will continue this patter so that only the smooth edges of the diapers are showing until they are fanned out evenly around. 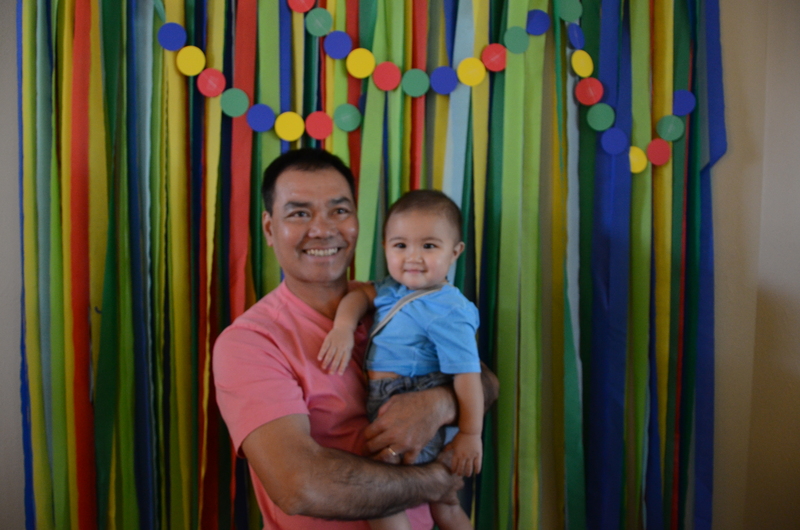 Most people used a rubber band but I did not want to do that because I did not want to indent the diapers. It is all up to you, I think my process took a little bit longer but if you have an awesome husband who can give you a hand, it is definitely possible. Step 2: When all the layers get to your desired size go ahead and tie the ribbon to secure the diapers and set aside. Step 4: This is when you will add the accessories to the diaper cake. For the diaper cake I made, I stuffed the teddy bear on the top of the cake where the teddy bear is peaking out. After that I stuffed the paper crinkle in each of the layer. Last, I glued the baby’s name on the ribbon to make it more personal. 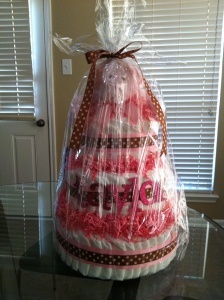 This is optional but you can wrap the diaper cake with clear wrapping paper if you like. 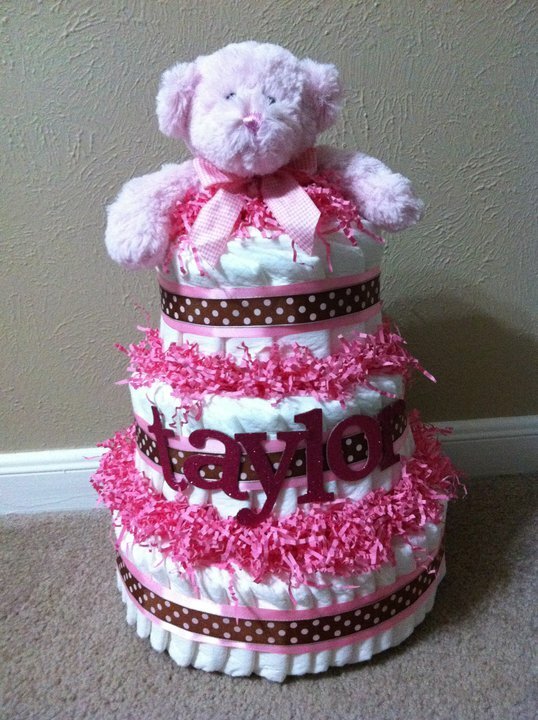 I was looking around Pinterest and there are other designs you can make for diaper cakes. It is actually neat how people come up with different creativeness. There you have it! A diaper cake you can make for a friend, sister, or cousin… Is anyone having a baby shower or attending one soon, let me know in the comment section below. Have a Happy Tuesday! 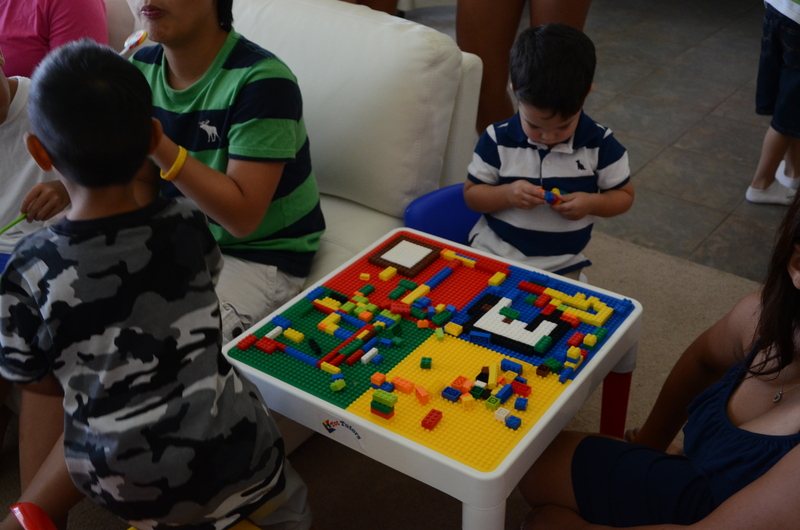 Are you ready to learn how to create an awesome LEGO party? 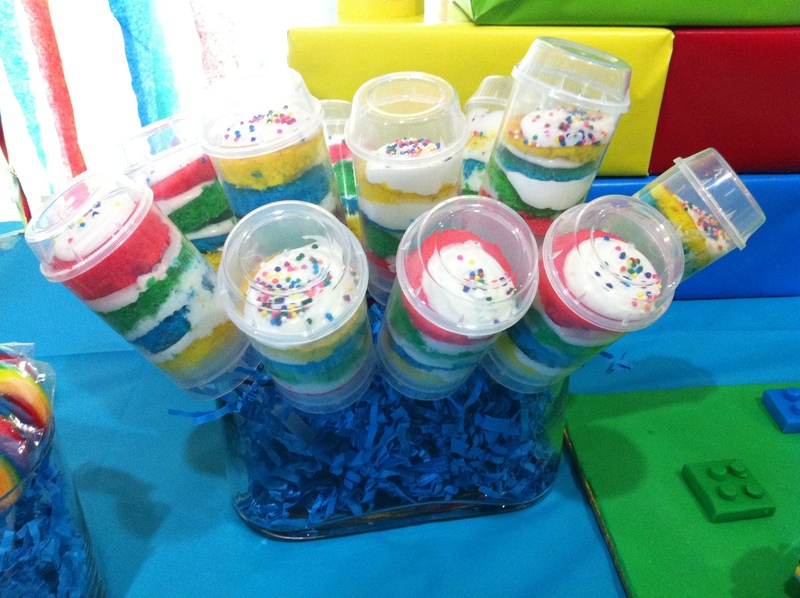 Here is another inside scoop of my party creations. 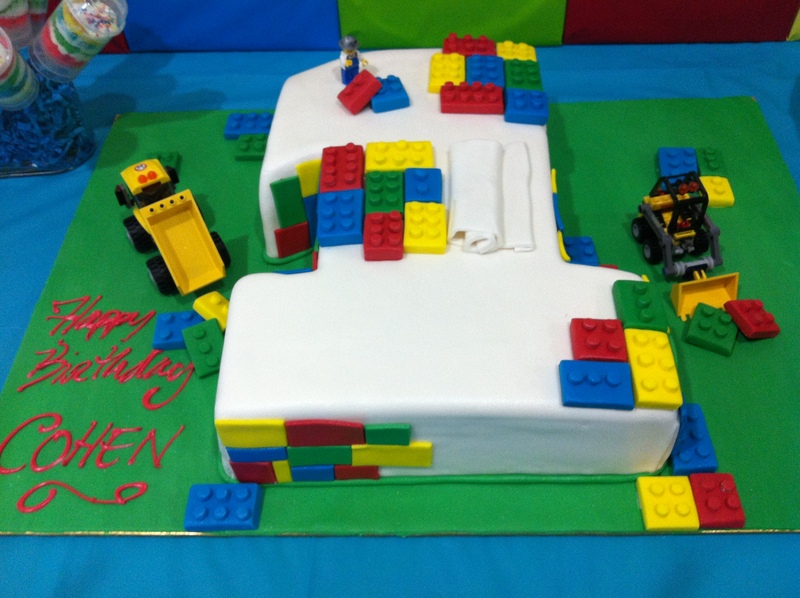 My son, Cohen, turned one about eight months ago and I knew Lego was the perfect theme for him. 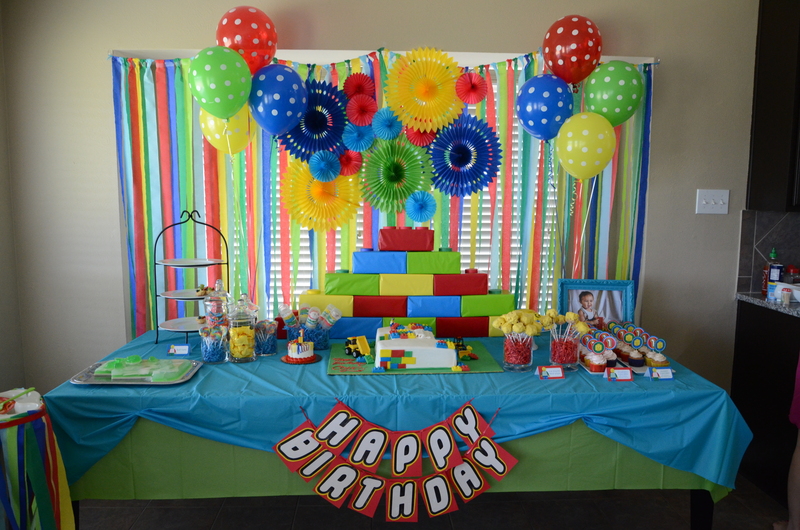 With the help of Pinterest, I can definitely gather lots of ideas and inspiration to make this party possible. Here was the birthday boy, scattered with his LEGO. 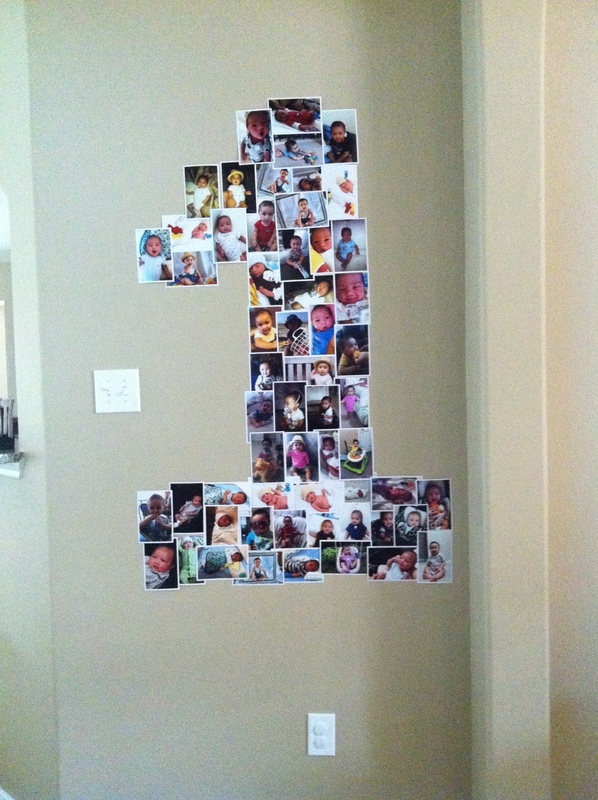 The #1 I made with all of his baby pictures. 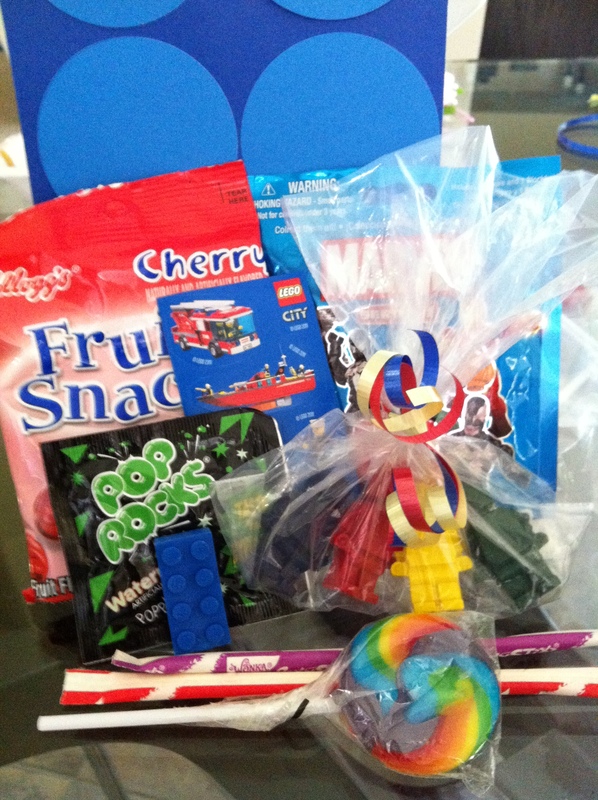 These were the favors I gave out to all the kids. 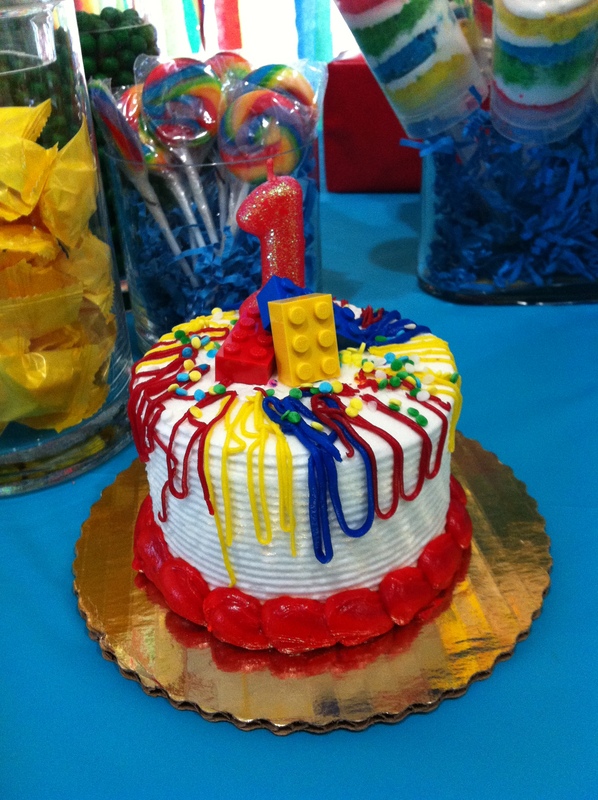 It was crayons molded into little LEGO man. You can find the mold at your local LEGO store. I melted the crayons using old cans that I saved as a double boiler and then pour it into the mold. 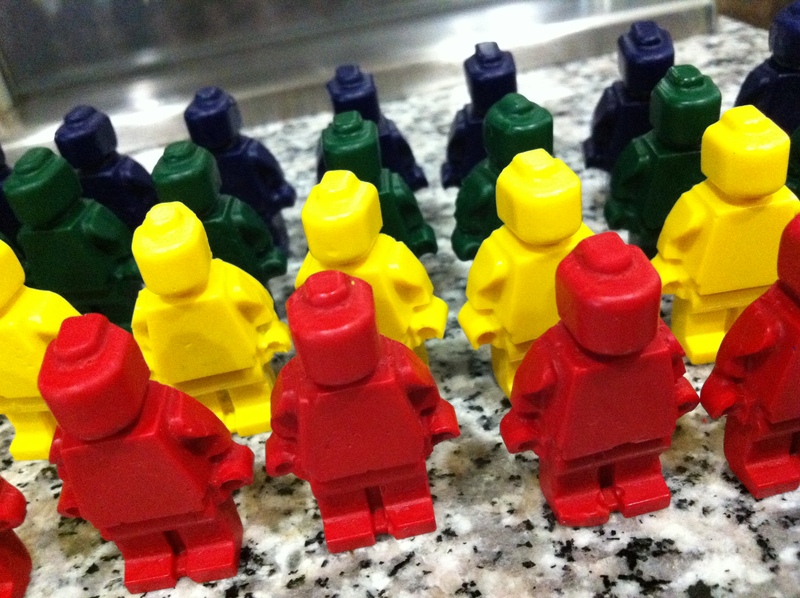 And there you have it, LEGO man crayons. The favor bags. 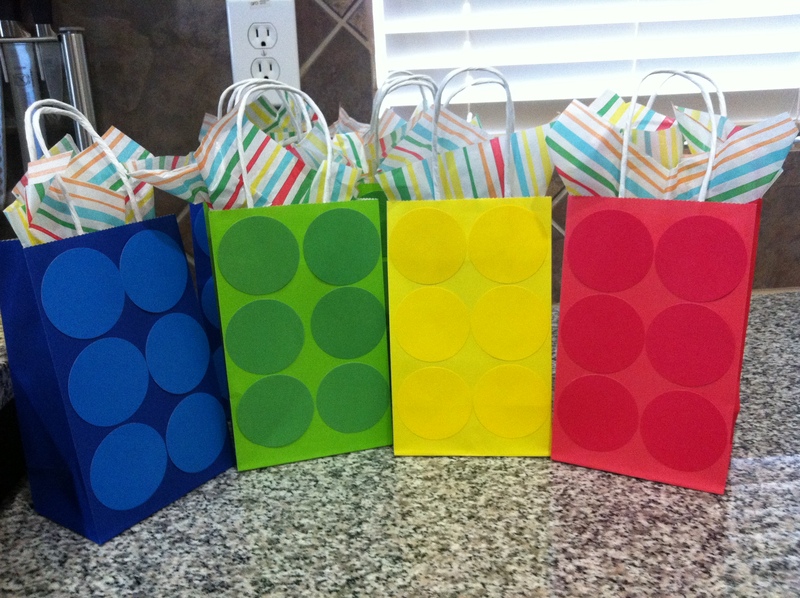 I used card stock to punch out the circles and glued them on the gift baskets to make it look like LEGO blocks. The boys and girls favor bags. 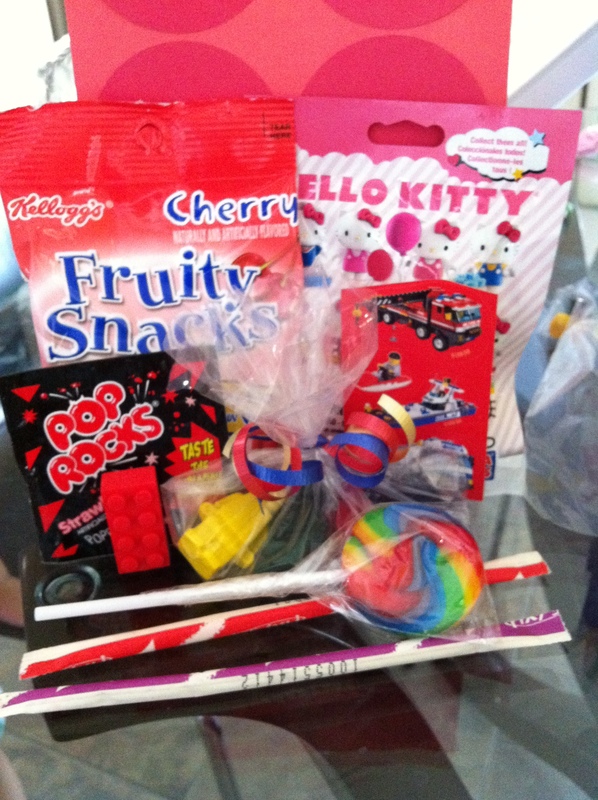 Each have stickers, a pack of LEGO, pop rocks, LEGO man crayons, LEGO block erasers, and more candies. 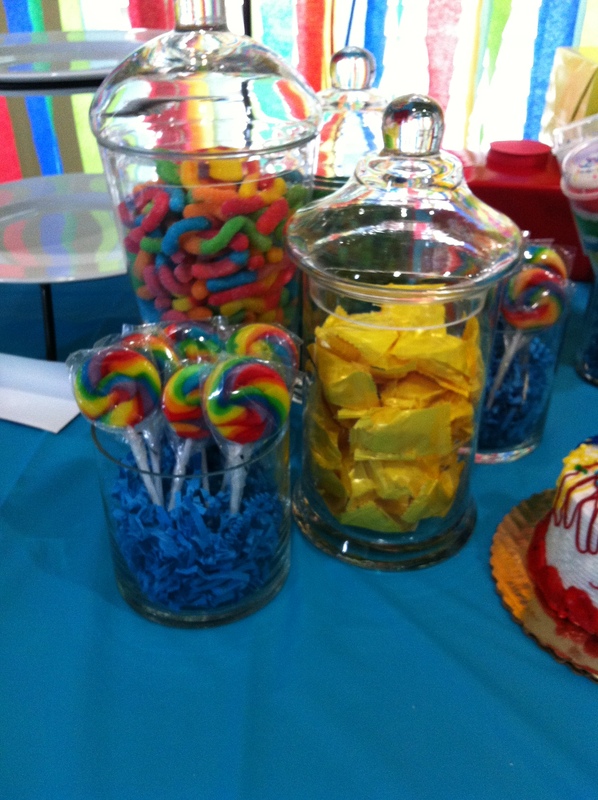 I always go all out on the dessert table. 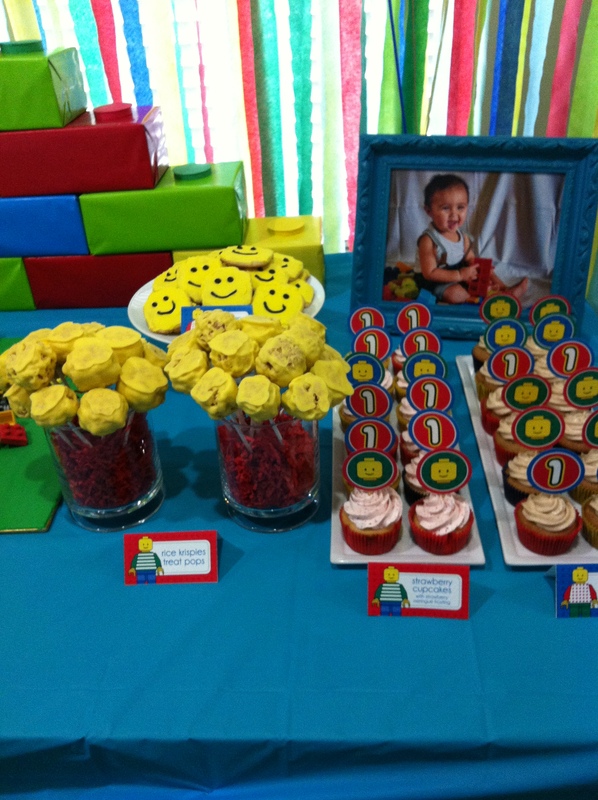 LEGO man sugar cookies, rice krispies pops, and home-made cupcakes. Thank you so much for reading and following my blog. You guys are the best!! Today marks one month since I blogged and I thought this is a great time to do a giveaway for everyone that have been so supportive and keeping up with my nonsense. Please read to enter the giveaway, which is ONLY open to the US! I will do more giveaways soon, so stick around for the next one. Please share with all your family & friends and get them to enter in as well! 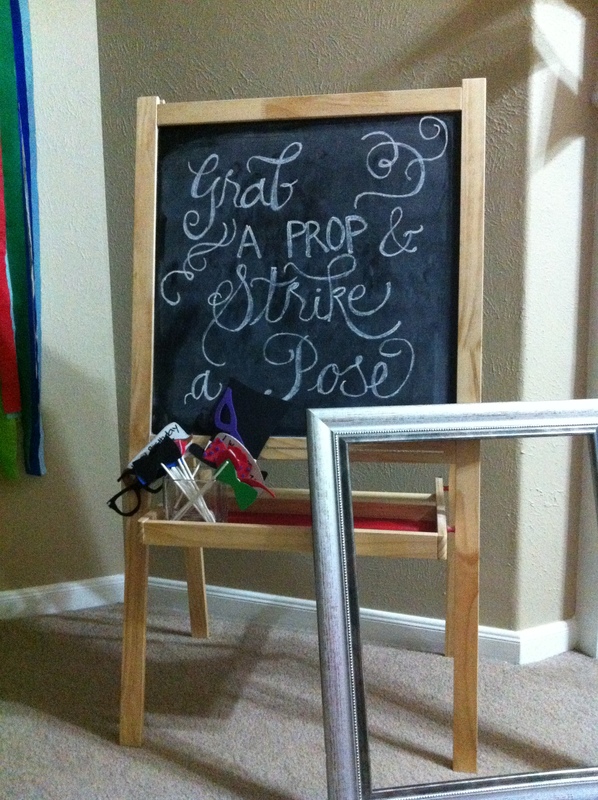 Step 4: Giveaway starts today, March 11, 2013 till March 25, 2013 at 9PM CST. – I will announce the winner on my Facebook page: http://www.facebook.com/sweetmelange22. The winner will be chosen randomly. – NOT SPONSORED. I bought all the items with my own money. – The winner will receive a Urban Decay Naked Basics Palette, Forever21 Flower Studded Earrings, Forever21 Floral Print Makeup Bag, Maybelline Baby Lips Moisturizing Lip Balm Cherry Me & my DIY Tinted Lip Balm. 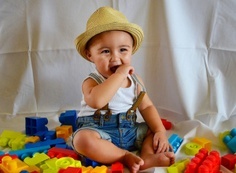 Sweetmelange & Forty Toes Photography GIVEAWAY!!! !